We specialise in the supply of quality brand named second hand Catering Equipment. With the Credit Crunch and other budget restraining challenges really biting, brand new equipment has become out of reach for even the largest of organisations. We have become incredibly busy as a result and many more clients are realising there is a viable and trusted alternative to brand new equipment. 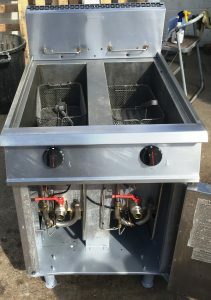 We are experienced with kitchen planning and support and can supply reconditioned, brand new equipment and extraction systems. Please feel free to call Dominic or Paul on 01733 286 000. 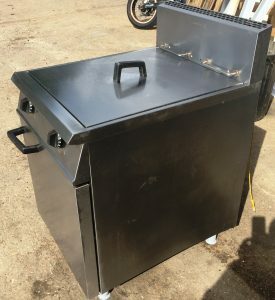 We took this Falcon Dominator Twin Gas Fryer in, which is only a few years old. It was in a terrible state and hadn’t been cleaned in months. On arrival, our technicians traige its condition to assess viability. 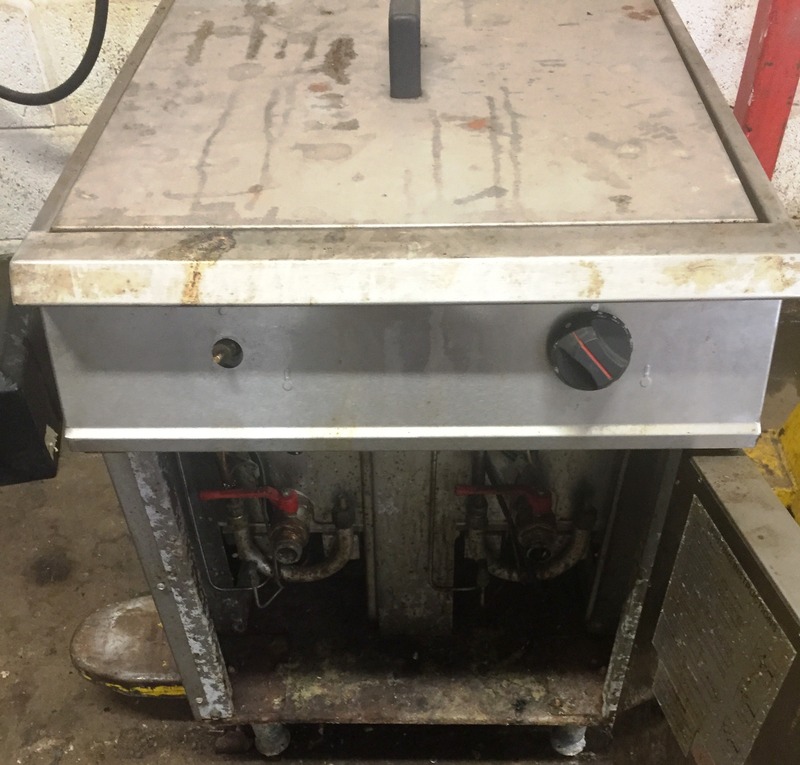 This process confirms if the fryer should be reconditioned back to a working appliance and operating reliably. We found it was in excellent operating order under the grime. We then strip the machine to assess if parts are required. Once ordered, our deep clean and technical rebuild commences. 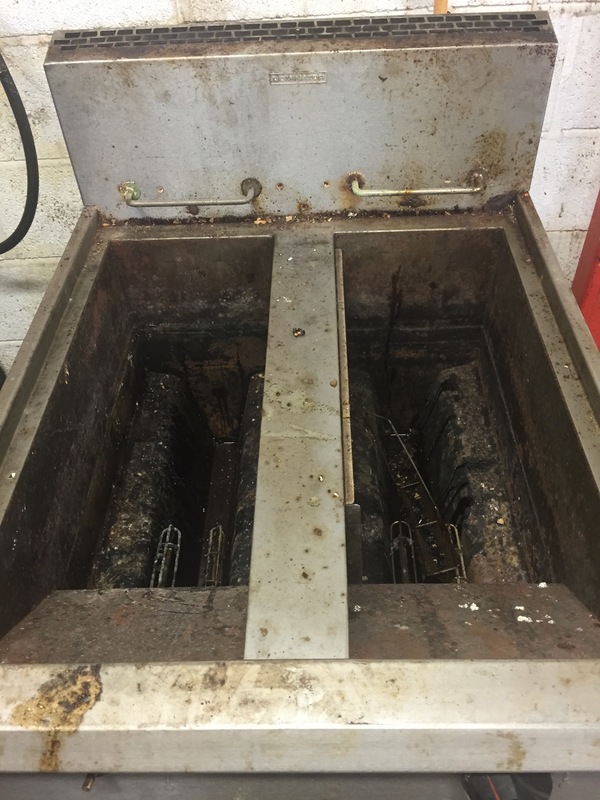 Its not just the bits chef sees, we remove components to access the internal areas, gas & electrical fixtures and cabinet. We use mild detergents and elbow grease to thoroughly remove carbon and grease deposits. As we re-build, we assess and test each component before refitting. As you can see in the following images, we are thorough and proud of the presentation we achieve. The fryer is now operating as the manufacturer designed it, but most importantly, the end user will only pay a fraction of the new price. This is what 20 years expertise in this field results in. We are the largest supplier of reconditioned equipment in the UK and have an enviable trade wide reputation for supplying quality premium branded appliances through too whole kitchen fulfillments.